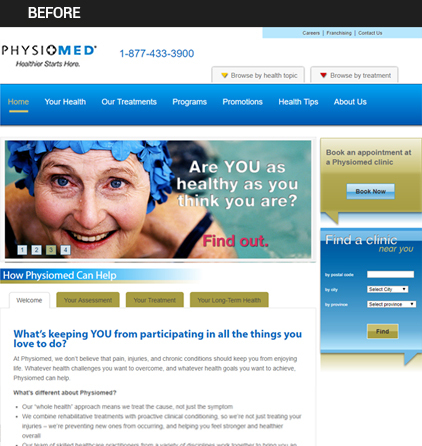 PHYSIOMED is Ontario’s premier health and wellness treatment company with 30 plus locations specializing in physiotherapy, chiropractic, massage therapy, weight loss, foot care, acupuncture and naturopathy. 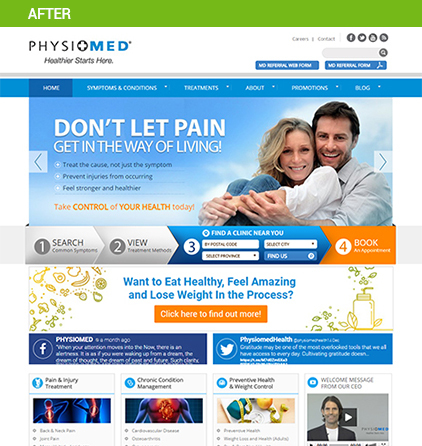 Physiomed have been a longstanding client with TechWyse and have seen substantial growth as a result of being engaged with multiple services. As the digital world has evolved though, competition in the local markets has become increasingly fierce and strong brands need to stand out! The task of driving local customers to locations that service their needs is more difficult than ever and critical for business to maintain their client base. Build a strong base of client reviews that reflect the high quality services that Physiomed deliver and the bower of the brand. Physiomed were early adopters of the Local+ service that builds local presence through building and correcting name address and phone number (NAP) citations with 300+ vendors. We have had an outstanding experience working with TechWyse over multiple years. They have a deep understanding of our needs at both a corporate and clinic level and their dedication to drive results is what our organization needs to be dominate the digital market. With the focus on local and hyper local markets becoming increasingly important, Physiomed trusted TechWyse to drive forward our local presence and we have become strongly positioned as a result. Our lead volume targets were substantially exceeded and all of our clinics are feeling the power of a strong digital presence!